And so after the inevitable fiasco of the first ever major smart contract (#TheDAO) on Ethereum going so spectacularly wrong, we have more of a platform designed more specifically (like open-ledger) to allow the creation and management of distributed autonomous organisations; DAO. "We’re on the road full speed ahead to amazing destinations! Around March 2017 the plan is to release a stable beta and minimum viable product for projects to start raising funds, giving WINGS holders the opportunity to forecast these projects funding success and filter out spam and scams via the means of a community approved crowdfunding. In doing so Sparrow will usher in a new era of crowdfunding in some significant ways; it will be the first time in human history that a large, globally diverse group that is not tied to a regulatory body will conduct a decentralized due diligence and select which projects are worthy of being presented to backers. Furthermore it will be the first time when swarm-based forecast markets will be used to assess the potential value of a project. 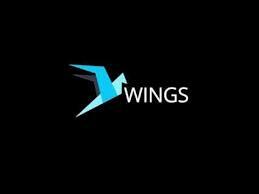 To do this the WINGS tokens smart contracts will be presented to the community for adoption, and for this release WINGS tokens will live on the Ethereum (ETH) network. The foundation is also in talk with several exchanges to allow WINGS holders and interested parties to have a market in which they can trade. If you have seen https://alpha.wings.ai, you certainly noticed that we have already developed a basic Web Wallet, and the project data storage on IPFS. Also in order to improve the user experience and add an additional layer of security for the users of WINGS, we have already integrated Airbitz single-sign on. We are continually improving the user experience based on feedback which can be emailed to support (at) wings.ai or sent via our telegram or slack channels. 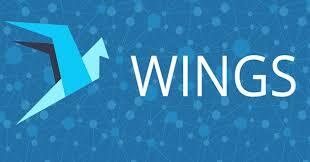 We are currently working on the implementation of WINGS forecasting rewards mathematical model, new features for the forecasters, and in talks with several highly regarded security auditors. During early April we expect seeing the first projects starting to use the WINGS platform in order to get evaluated by the community and begin their own crowdfunding." WHY NO POSTS FOR A WEEK? IS YOUR FUTURE #GNOSIS WE PRESENT: YOU DECIDE!